An investigation has backed the British Medical Journal's handling of two controversial and inaccurate articles it published on the harms of cholesterol-reducing statins. Both claimed that 20% of users would suffer harmful side effects. The journal withdrew the claim, but refused calls for a full retraction. Yet prominent academics have criticised the investigation, saying the articles still damage confidence in statins and are continuing to demand a retraction. 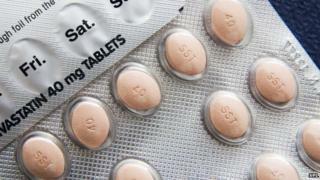 Statins lower levels of cholesterol in the blood to reduce the odds of a heart attack or stroke. The harms and benefits of the drugs became a hugely controversial area of medicine in the run-up to a massive expansion in prescribing in July. An article by Dr John Abramson, from Harvard Medical School and a separate piece by cardiologist Dr Aseem Malhotra claimed that side effects of statins occurred in 18-20% of people. The research they were quoting did not adjust its findings for the level of those side effects - such as muscle problems, increased risk of diabetes and liver inflammation - which would have occurred even if people were not taking the drugs. Leading academic Prof Rory Collins, from Oxford University, said the articles were likely to have encouraged people to stop taking statins with potentially life threatening consequences. The 20% figure was eventually withdrawn, but the reports were not retracted. An investigation, led by a former chairman of the Royal College of General Practitioners, Dr Iona Heath, was launched in May. It has concluded: "The panel were unanimous in their decision that the two papers do not meet any of the criteria for retraction. "The error did not compromise the principal arguments being made in either of the papers. "These arguments involve interpretations of available evidence and were deemed to be within the range of reasonable opinion among those who are debating the appropriate use of statins." The editor of the British Medical Journal, Dr Fiona Godlee, told the BBC there was "obviously a risk our reputation has been damaged". "It is wrong to pretend errors don't happen, as soon as it was clear errors had been made, we moved to correct that and made it as public as possible." She added there was "no evidence" that people's confidence in statins had been dented. However, the panel did say the journal needed to pay "extra attention" to controversial or one-sided articles and called for a review to see how corrections to the opinion pieces could have been "made in a more timely fashion". However, Prof Collins argues the investigation was not independent and came to the wrong conclusion. He told the BBC: "It is not surprising the BMJ investigates itself and exonerates itself. "The BMJ published misinformation and they've withdrawn one major error, but have not corrected several other major errors. "My concern is that as before, patients and their doctors are misinformed by those papers and the BMJ's failure to correct them." Prof Sir John Tooke, the president of the Academy of Medical Sciences, said: "There is a very real possibility that misinformation about statins could put the health of those who need them at risk. "We are disappointed that the papers have not been retracted, but hope that a renewed focus on the evidence base can bring much-needed clarity to the debate." However John Deanfield, a professor cardiology at University College London said: "I don't feel strongly that a full retraction is required, merely an acknowledgement that the views expressed were based on incorrect data."